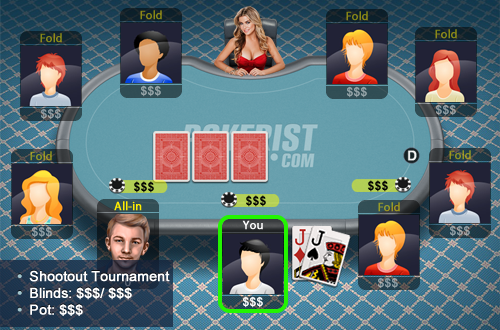 You’re playing a shootout tournament with 9 players at the table; only one moves on. It is the first blind level. You look down at JJ in the big blind and the player UTG open shoves their whole stack.